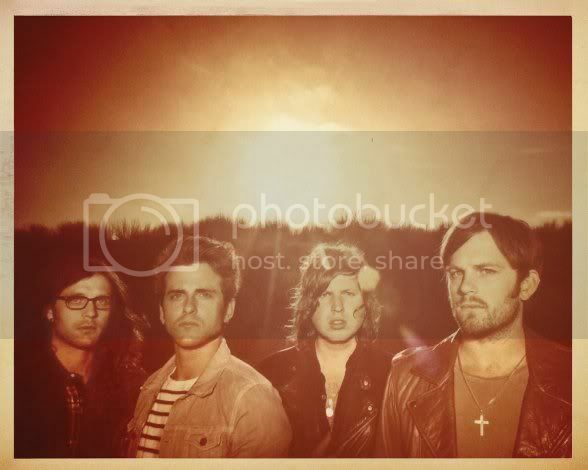 We reported last week that a new documentary about Kings of Leon was set to air on Showtime. We now have another sneak peek at the documentary and we are less than a week away from the premiere of Talihina Sky: The Story of Kings of Leon. The much anticipated documentary airs Sunday night at 10:00pm on Showtime. I think we’re all hoping the movie will shed a little light on just what led to the meltdown in Dallas and subsequent cancellation of KOL’s US tour. Aside from rumors of rehab for KOL frontman Caleb Followill, the band has stayed pretty quiet since the Dallas incident (though there is this riveting article about Nathan Followill making lobster rolls). But the quiet likely won’t last long – since fans will soon get an inside look at the band, their extended family, and the famous fights between the brothers and bandmates. For those unaware, KoL is also a band with a pretty interesting story, these most recent troubles notwithstanding. They're comprised of three brothers and a cousin, who spent their youth traveling the country with an evangelist father (uncle), appearing at and participating in tent revivals and Pentecostal church events for several days at a time before moving on to the next. There is also a core of the KoL audience who find the band's early period the most musically satisfying, and getting a glimpse into that period is also sure to be of interest. So, we have new footage from the movie as a sneak peak for those planning to tune in Sunday night. What about you? Do you plan to watch Talihina Sky or are you over KOL and their drama?